They all fit nicely inside a drawer next to the stove. 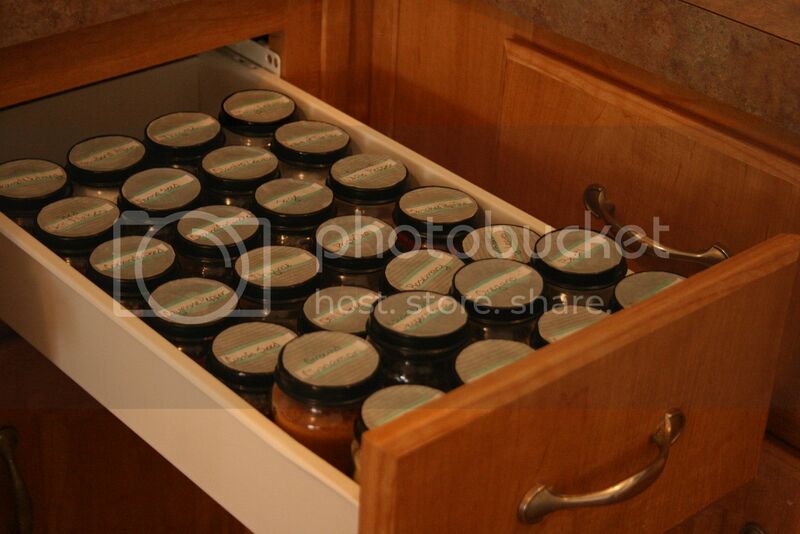 After deciding how many baby food jars would fit inside the drawer, I removed the labels and gave them a good wash. I painted the lids black then grabbed my silhouette to make some labels. Now I have all my spices in a convenient location next to the stove and I don't have to worry about them getting lost in the back of a cupboard. LOVE this idea....with a drawer NEXT to the stove!!! Thank you for ALL you share & show!!! That's an awesome idea! Thanks for sharing. I really like the idea of having them in a drawer next to the stove, rather than in a cupboard! Mine are in a spice rack I picked up for 20 bucks. Each of the containers (there are 12) is a brightly coloured ceramic and I just love them, so they're on display on our open shelves beside the stove. 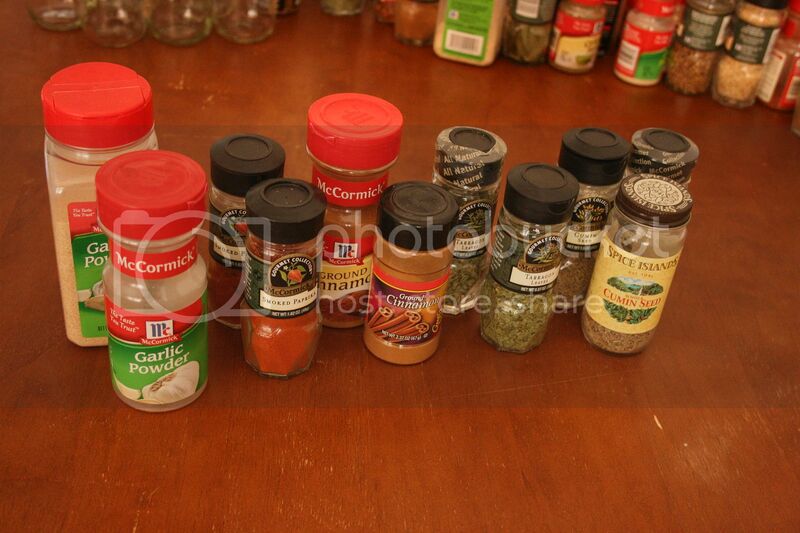 I have a super picky husband-to-be, though, so I don't cook with spices all that often! That is such a great idea!!! Good job and thanks for sharing this! I need do something with all my spices. This is a great idea. Pretty good idea! I just don't have asess to baby food jars. Thanks for sharing. I'm sure a collection of same size jars will work as well. great idea! I had a friend tell me one time that I need to alphabetize my spices which was great in theory but there were so many sizes that it wasn't practical. 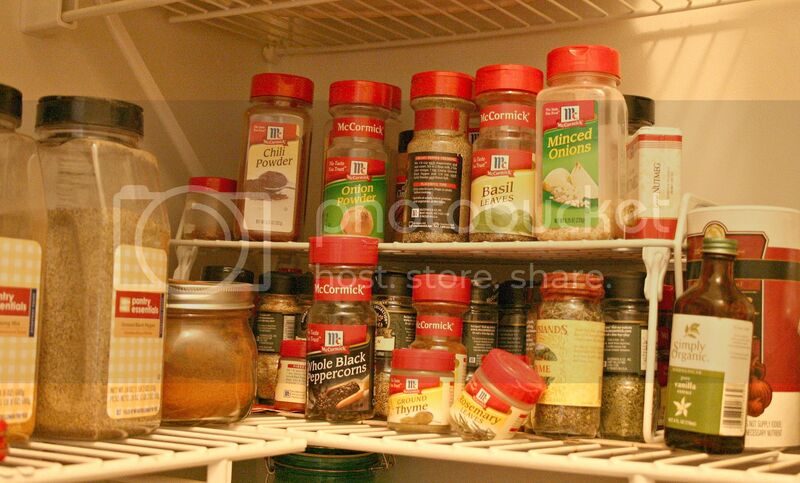 I organized my spice drawer the same way, but using canning jars. Really love the cute lid labels though...might have to break out the Modge Podge! I love your labels!! Although I think I may redo them and actually type the spice names onto them instead of handwriting them. Thank you so much for taking the time to make them. Awesome idea! I need to get my spices organized in a better way.